Set in the London Borough of Wandsworth, Balham presents both buyers and renters with a leafy south London setting that has fast access to central London via both its railway and underground stations. A selection of independent bars and cafes are established in the area, along with well-known restaurant chains and shops. Balham's diverse property portfolio includes both Victorian terraced houses and purpose-built blocks. 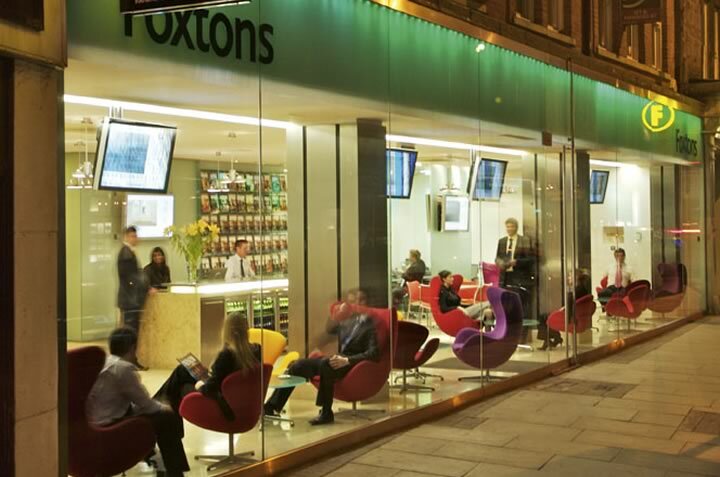 Foxtons are proud to be one of the leading estate agents in Balham offering properties for sale and to rent in Balham. Many parts of South London like Clapham and Balham have transformed in the past 10 years, becoming rental hotspots for professionals who work in central London and the City. Unlike North London, South London has a limited number of Underground lines servicing the region, but what a lot of tenants forget are the excellent National Rail links, with services that are often faster than the tube! In areas such as Streatham, Brixton, Earlsfield and Tooting - that have seen continued growth in development and regenerational - there's the large number of bars, cafes and restaurants that are popping up too, encouraging people to relocate from the surrounding areas that are becoming increasingly expensive. And let's not forget the variety in the housing stock too, from modern apartments in Putney, to charming terraced houses in Earlsfield, to large family homes in Wimbledon - there's something for everyone. As well as the ultra-modern contemporary sites like Battersea Reach that line the Thames - which is now in its final stage of construction - there are a number of exciting developments popping up all over South West London. Right by King George's Park and the River Wandle in Earlsfield, Westfield Waterside is just one of the spots being developed close to Southside Shopping Centre in Wandsworth, where there has been a hive of activity the past few years. Here, The Ram Quarter is an exciting reinvention of the Young's brewery site, which aims to conserve and enhance the existing listed buildings, alongside the creation of new apartment buildings, piazzas, a museum and a microbrewery that preserves the brewery's heritage. To cope with the burgeoning demand for schools that this development and expansion creates, Wandsworth Borough Council saw the need for a new school in Earlsfield, Floreat Wandsworth Primary, which was successfully opened in September this year. "I'm so pleased I chose Foxtons! My property was given a great valuation - and sold quickly, the perfect outcome"
Wonderful service from Katya! She was so professional and the process from first contact to collecting my keys was incredibly slick. Easy and transparent. Joana was brilliant at finding places that matched our criteria and was extremely helpful at giving us hints and tips and highlighting pros and cons of individual properties. We had a very tight timeline and she was very organised in helping put together paperwork etc. Best part was that she was honest and friendly throughout whole process. Much better experience and outcome than with other agents we tried. Excellent service. Very quick to set everything up . Good to have a My Foxtons account that you can refer to following viewings. Also Steve and Aiden were regularly in touch with us keeping us updated on a daily basis. The extra long hours helped as well and to be able to contact Steve and Aiden at anytime via email or mobile was especially useful. The best estate agents I have ever used. At first I thought they appeared expensive but they are certainly value for money and they work very hard to keep you informed virtually everyday. I would like to leave feedback for your employee who went an extra mile to help us find our new home. Kay from Balham office was very helpful, patient and paid a lot of attention to our case. We were 3 people looking for 2 bedroom house for a convenient price. He showed us plenty of houses but it seemed we won't find what we were looking for, he kept contacting us to help us in our situation (we had just 2 weeks to find new home). The communication with Kay was always on professional level and with his empathy he made us feel verry comfortable to cooperate with the agency. He is a great asset to your company and I would like to send him a big THANK YOU for everything! Foxtons Balham sold our flat enabling our move to Dorset. The staff were friendly and helpful. The Manager, James went out of his way to help us deal with our freeholder who was causing problems. Alison is such an amazing agent. She was professional and courteous and just such a pleasure to deal with. We are new to the area and she was patient and understanding of our indecisiveness. She stayed in contact all the time to check in on how we are doing and to let us know that she had found more viewings for us. Having initially selected another agent to sell my property, the Foxtons team were a breath of fresh air, dedicated, professional, excellent communication and most importantly getting my property sold in a timely manner . I was also really impressed with the back end management of the deal and getting things moving quickly through to exchange. I was assisted by Alison of the Barnet branch. I can't express how helpful and attentive she was as an estate agent and also as morale booster during an extremely stressful experience. Very down to earth and the most comforting agent I have come across. Give her a bonus!!! Having moved houses a ton of time since being in London I can honestly say that Giorgia has been the best agent I've dealt with so far. Extremely helpful, considerate and just really easy to talk to, I actually felt like I had someone looking after my best interests as opposed to someone just trying to sell me something that would net an easy commission. Highly recommend! My son is a first time buyer and we have viewed 26 flats and one house in SE London. Out of all the Estate Agents we have had viewings with, we found Lucy from Foxtons Balham the best. She knew the property market in London extremely well and was very helpful in giving us information and advice on purchasing a flat. Darya has been very professional and helped us by proposing the different alternatives we were facing. I do recommend her. Extremely helpful, considered and approachable agent. I have never met a more enthusiastic and helpful agent - Lucy was fantastic from start to finish. She got exactly what we were looking for and I could not recommend her and the Balham office more highly. She went above and beyond what was expected and it was so nice to always have a chirpy voice at the end of the phone and a smiley face on arrival at a property. I would recommend her in a heart beat! Excellent communication throughout the transaction. Kept me informed and liaised really well with all parties to conclude my sale at its earliest opportunity. Akua has been a pleasure to deal with. As soon as I met her I had a good feeling about her. She immediately understood what we were looking for and we put an offer (which was accepted) on the first house she showed us! I felt she was listening and aware of our needs. She never came across as pushy and was very good at keeping us informed throughout the process. Over the last few months I have dealt with around 8 different estate agents and over 20 different agents/negotiators. I have met some extremely poor agents and also some very good ones and Akua was by far one of the best I dealt with during that time. She was both professional and personable from start to finish, very good knowledge on the whole house buying process and importantly I was always able to contact her. Also Akua never gave the impression she was trying to ‘close’ me when discussing offers or showing me around properties; I am always am extremely cautious and much less likely to commit when I feel I am trying to be sold something. Overall great job and a positive Foxton’s experience from me! I dealt with Matthew and I can only be happy with him. He tried hard to meet my expectations, was listening all my request. I really felt that he was caring about me and I was very happy to deal with him. I would recommend his services to everybody. Georgia helped us look for a property in Balham - she was very friendly, personable and facilitative in helping find what we were looking for. Unfortunately, we didn't get a property through Foxtons on this occasion - purely down to the properties available. However, Georgia has left us with a very positive view of the company, I would happily recommend Foxtons to my friends as a result of Georgia's help and in 12 months time, we would happily deal with Foxtons if looking for a new flat. Foxtons Balham are a member of the key governing bodies, abiding by the strictest codes of practice. The Balham property market is competitive. Foxtons can give you an advantage.